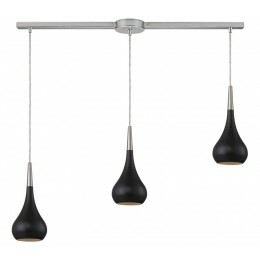 This Mini Pendant Collection Features A Smooth Flowing Shape From The Canopy To The Teardrop Body. The Brushed Nickel Finish Adds Beautiful Contrast To All Of The Six Curvaceous Pendant Bodies, Including Three Stylish Wood Prints. 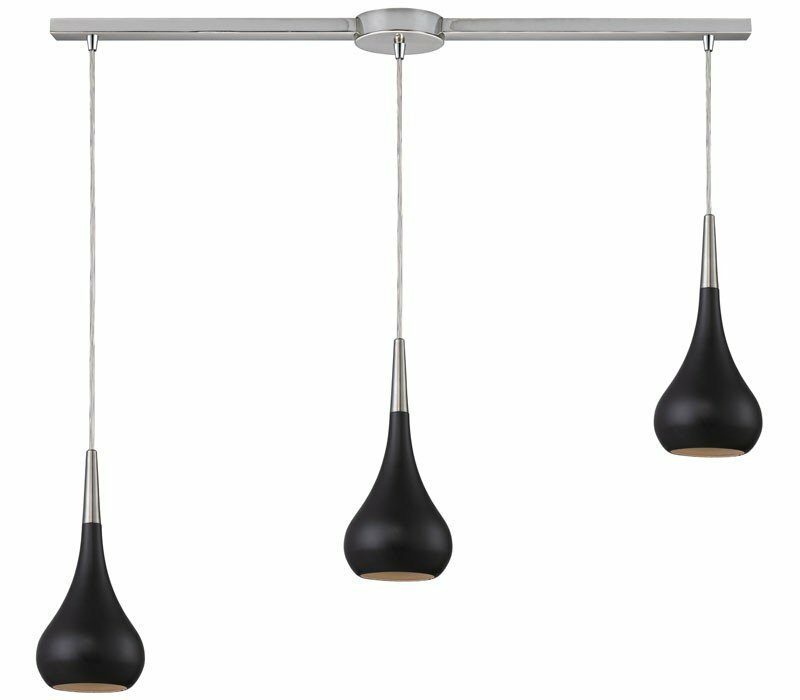 The ELK 31340/3L-OB Lindsey collection Pendant Lighting in Satin Nickel uses Halogen light output and brings Modern style. The total wattage is 150 and the voltage is 120 volts. The ELK Lighting 31340/3L-OB requires 3 bulbs (included). Additional Information: Shade-Oiled Bronze Shade 2.